Let us find you opportunities and help you fast track a Board Appointment with one of our Board Appointment Membership Solutions. The prices of our packages are going up shortly. Join today to lock in the current fee for the life of your membership. No matter what your situation - whether you are an experience Director or just beginning your board search - our Board Appointment Solutions are designed for you. 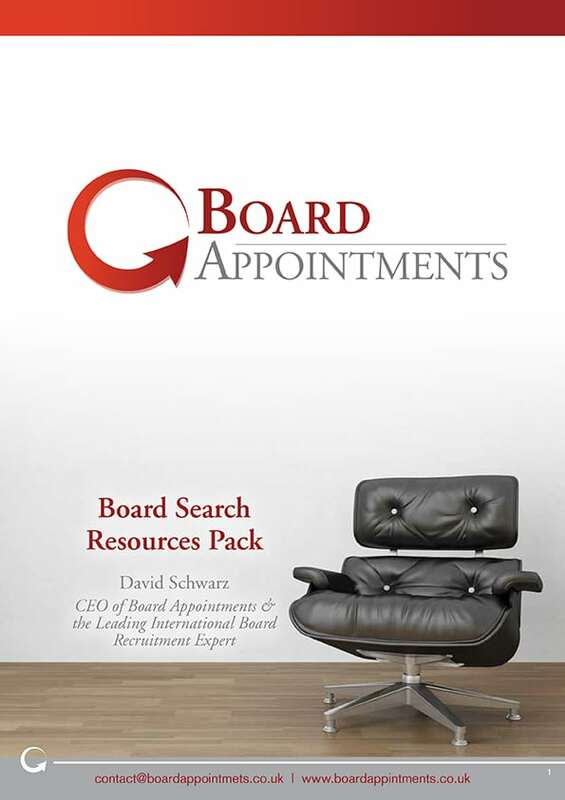 Developed by David Schwarz - the leading international board recruitment expert, a top 10 LinkedIn user with 29,000+ NED connections, author of the Board Appointments book and quoted 'board CV expert' - what we do works. We look forward to having you on board.